Porto Admin is a professional admin template, it’s fully responsive design ready to look stunning on any device. 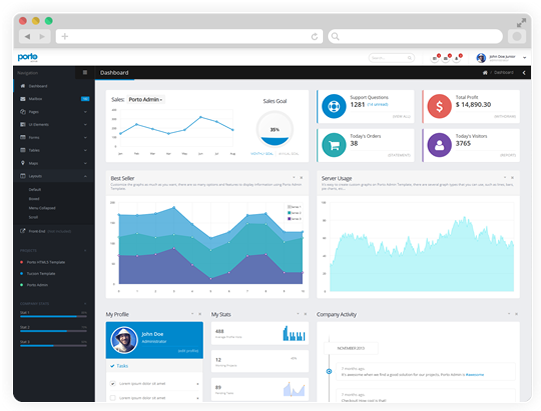 Customize your admin theme as much as you want, you have tons of layout possibilities with unlimited variations and colors. The template comes with 60+ HTML pages built using Bootstrap 3.